Everything you need to run your practice efficiently and easily. 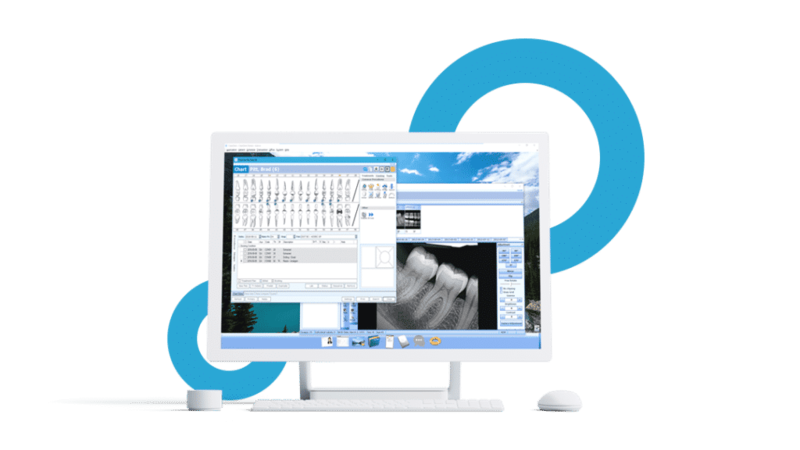 Equip your practice with dental software that manages all your clinical, business, and administrative needs. From your dental scheduler and ledger to patient charts and x-rays, you have all the information you need in one place when and where you need it. Viewing and scheduling appointments has never been easier with our built-in dental scheduler. Book or change appointments in less time with simple drag and drop functionality. Increase profitability by maximizing your schedule and booking more high-value treatments. Make the most out of family appointments with notifications for opportunities to book more family members in the same time period. 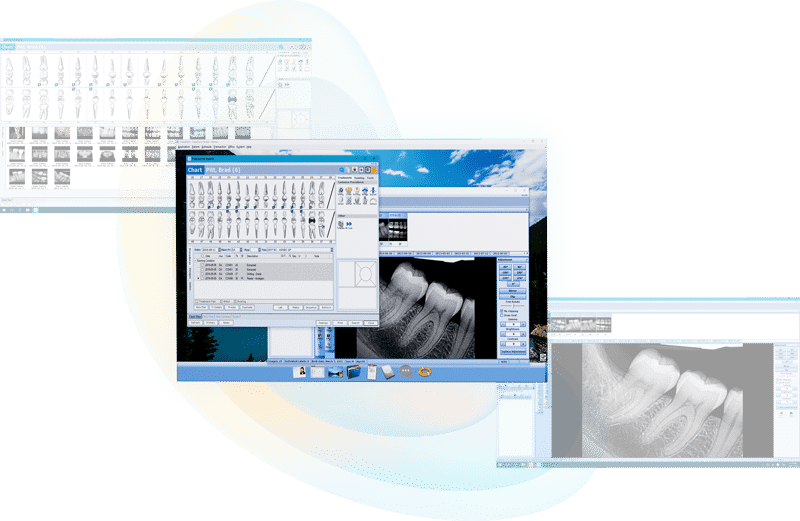 With image-enhancing features built right into our dental charting software, you can fine-tune and see your x-rays in even greater detail. Images are automatically rotated, mounted, and labeled with the correct tooth number before being attached to the odontogram. to customize your dental software to how you want to work. ClearDent takes the stress and complication of compliance away. Our software allows you to stay compliant with all regulatory bodies. Give user permissions to each role within your practice. Everyone can access exactly what they need, and important changes are tracked thanks to an audit trail. Our dental software allows you to offer patients digital check-ins and chairside signatures using iPads and our ClearDent kiosk app. Expect timely collections and reduce accounts receivables with our simple-to-use ledger that submits claims automatically using EOB auto-adjustments. Get a clear line of sight into the production statistics at your practice and make strategic business decisions based on clear dental practice analytics.